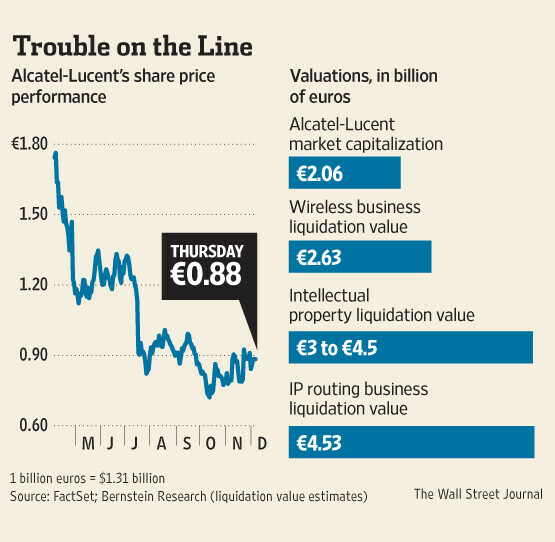 In order to buy some time to restructure business operations, Alcatel-Lucent, based in Paris, is considering pawning off assets to bring in some sorely needed cash. Among those assets are the company’s internet routing business and portfolio of patents owned through the pioneering Bell Labs which is based in New Jersey and was part of the original Bell Telephone System back in the “monopoly” days. The salad days for many telecom gear companies are long gone. Alcatel-Lucent is in the same boat unfortunately. Its share price has evaporated from highs in the €80-range ten years ago to about €0.88 today. The only things valuable in the company are its holdings. Alcatel-Lucent makes a wide range of industrial communications switch-gear, including much of the infrastructure that is used in wireless communications today. On top of that, the company makes a wide range of mobile feature phones and mid-range Android smartphones. Now it has been announced that the company will be removed from France’s CAC-40 stock index. It has not been confirmed which parts of the business Alcatel-Lucent would mortgage, but it is thought that the internet-routing business would be leveraged to secure as much as €1 billion ($1.31 billion) in loans. If the loans are not forthcoming, the company has a few other options. Oddly, one of the options being considered might be issuing more stock, though that is not likely since it is currently trading at about a dollar. Other options that may be on the table are outright liquidation of assets, some of which are worth more than the market capitalization of the company itself. Unfortunately, if the company cannot restructure, change its course, and then fall into bankruptcy, those leveraged assets are already gone. One other option that may be considered is to start licensing some of the 28,000 patents held at Bell Labs in lieu of backing loans against the historical business. is this the same company that makes the alcatel phone? if they are, why is it that they dont have that beautiful phone? since paris is known to be a fashion city? "Alcatel-Lucent makes a wide range of industrial communications switch-gear, including much of the infrastructure that is used in wireless communications today. On top of that, the company makes a wide range of mobile feature phones and mid-range Android smartphones." NO, TLC (China) are making the phones, they are just using the Alcatel brand. 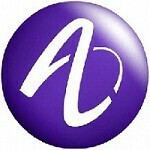 Alcatel-Lucent no longer make phones. This better not affect Sprint's LTE roll out along the east coast. I doubt it. This wouldn't affect alcatel-lucent's current customers besides there's always Motorola, Ericson etc that makes equipment for the carriers. SPRINT and SOFTBANK both use A-LU network eqt & software. SOFTBANK recently purchased and is installing the latest A-LU software in Japan and so did LG in Korea. So plan on that roll-out here too. The "Silver Lining" to the story is that with the shifting FOREX back to a more level exchange between USA and EURO means that all european products and services become more attractive price-wise. The next 6 months will tell ... assuming the SOFTBANK purchase of SPRINT is approved. Goldman Sachs is there to help get over this 'bump' but evey bit of FOREX change improves the company valuation. Sprint is using Alcatel Lucent, Samsung and Ericsson for it's Network Vision initiative. Ericsson is coordinating the entire operation with the other suppliers while Sprint is overseeing the whole project. Should ALU not be able to support the project it may be Motorola or Ericsson (if they have the capacity) taking over.